We Heart Parrots: We are Groot! The Internets have been gleefully infected with Baby Groot Fever. 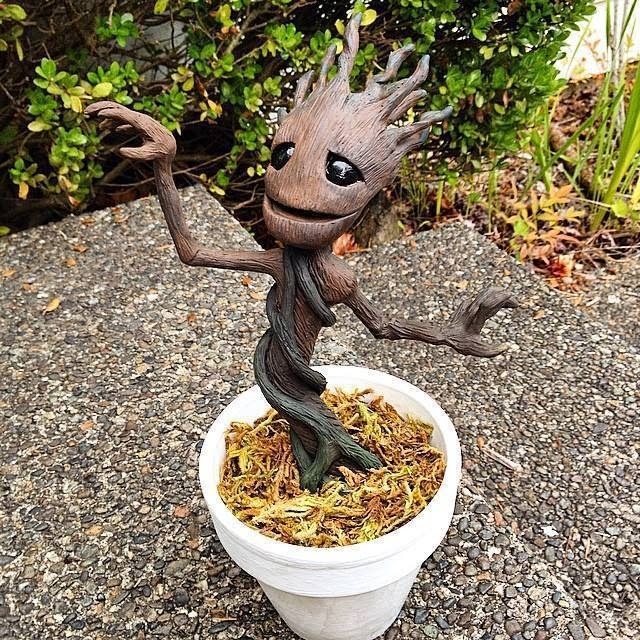 Redditor theoopst shared the top image of an awesomely adorable sculpture, made by their friend artist combatcarlie, of wee Baby Groot happily dancing in his pot.